Young adult brunette woman with hat and backpack spreading her arms and enjoying the seaside view while standing on a cliff. 4k00:20Woman traveler with backpack admiring sea view and making photo on the shore of a tropical beach sunset using smartphone. Female wearing red checkered shirt and sunglasses. 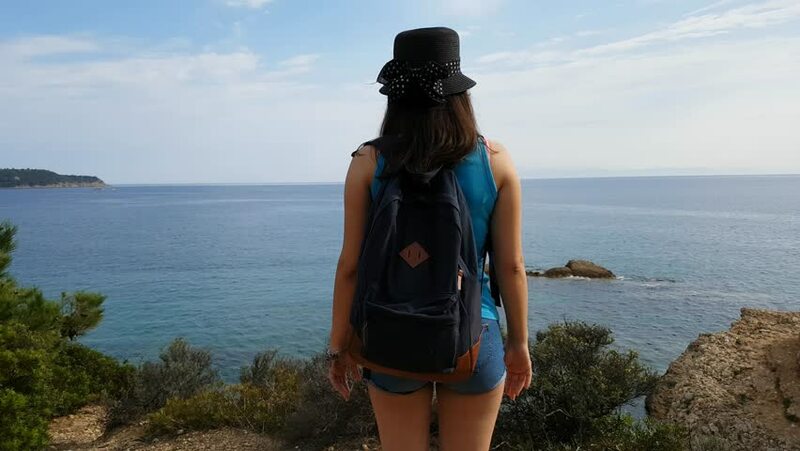 4k00:18Young adult brunette woman with hat and backpack smiling and enjoying the seaside view while standing on a cliff and happily spreading her arms.